A massive concern for supporters of the English game and clubs across England is the continuous decline in young players breaking into first team squads within the Barclays Premier League. The financial benefits to a club is the fundamental aim now for the owners and the chairmen of the clubs in England, which as a result is hurting the development and progression of players looking to break out of academy football to regular first team opportunities and cementing a place within the first team. The percentage of the players playing in the top tier of English football that qualify to play for the England national team is declining further and further, in 2017 Marca reported that 64% of players playing in the Premier League were not eligible for England, compare that to Spain where less than half of the players in the league are foreign, somewhere along the way the English clubs have lost that focus and the progression to get academy players into their first team squads. The Guardian reported that at the start of this season the figure for minutes that English players were involved has dropped even further, which understandably the National team manager Gareth Southgate has expressed his concerns over. The fundamental values of the clubs must be the main contributor for the lack of talent progressing into the first teams. When we consider the investment that Manchester City and Sheikh Mansour have put into the youth team set-up from the bottom up, there has to be an issue when considering that the Man City squads in recent years has rarely featured any of these players, with the exception of the early rounds in the domestic cup. Chelsea would be the club that have invested a great deal of money and time with their youth set-up and gained their respective success at these levels, but have we seen any of these players emerge in the first team at Chelsea? The last player to make a success out of breaking into the Chelsea first team from the youth system was former captain and now Aston Villa assistant manager John Terry. 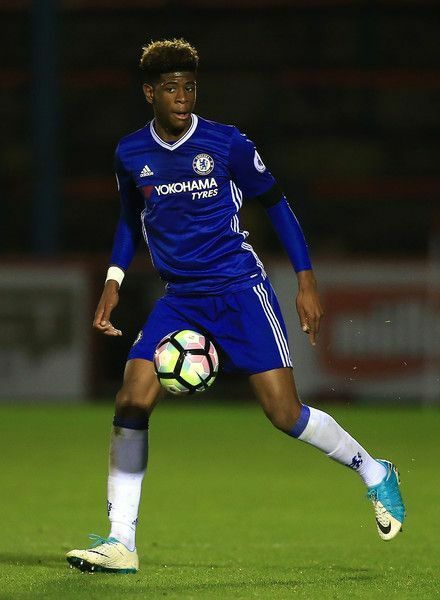 We have seen a vast amount of these Chelsea youngsters sent out on loan either abroad or the lower divisions in England, and a progression into the first team looking almost impossible. Every club is guilty of this same procedure, trying to expose these prospects to first team football, but are they really ensuring that these players are exposed to first team football? Are they monitoring a players progress and thinking of how they can get these young stars into the first team plans? Why are the parent clubs not recalling players who are playing youth team football for the club that they are sent? 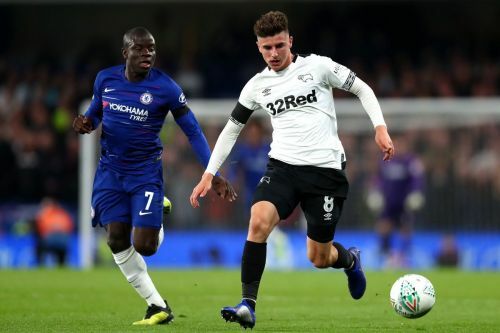 Mason Mount is thriving while on loan at Derby...will he get an opportunity when he returns to Stamford Bridge? 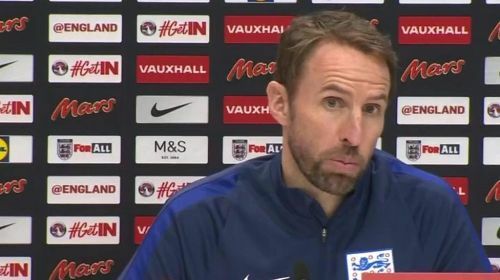 The English FA have invested money and resources into the national set-up, this could not have been any clearer than the recent semi-final defeat they suffered in the World Cup in Russia. With the personnel involved in the structure of the national teams, there is obviously a philosophy in place of how they want the teams to play, what they expect from the players when on international duty and the improvement that was made to St George's park, when it comes to international duty. The success of the England International youth teams in 2017 showed just how far this has developed, with the under-17 side winning the World Cup in India after there runners up position in the European Championships to the under-20 team winning the World Cup in South Korea, we have seen that the talent is available in England, and with the right nurturing and development they can be a huge success at whichever club they represent. The issue starts with at the very bottom of the English game, and the lack of funding and money that grassroots has invested. This is extremely concerning especially considering the high proportion of money now that English game does receive, which allows us to question why exactly these issues are not fully investigated. Why is 1 in 3 pitches in grassroots football deemed to be 'inadequate' according to the Telegraph? 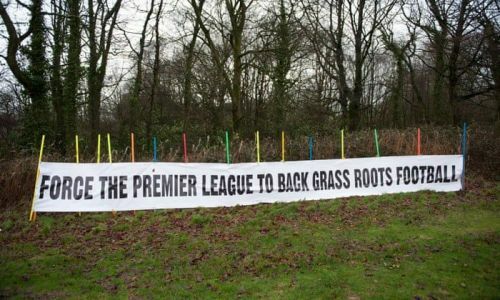 We would have to ask why is the former FA chairman David Bernstein claiming that grassroots football has been 'neglected' according to the Telegraph. If the FA can not improve on this area, we will see more and more clubs in the Premier League look abroad even more to fill places within each respective academy, another trend which is significantly on the rise. The emergence of Jadon Sancho this season at Borussia Dortmund has highlighted the issue that our clubs in England do not progress the youngsters into first team squads at an early age enough. Many could argue that Phil Foden is involved within the Manchester City team, but is he playing enough minutes? If he had made the move that Sancho made could he also now be representing the senior England team and making a real impact on the biggest stages? We see Foden in the low pressure games, or for 15-20 minutes with substitute appearances, this is a player who set alight the under-17 tournament for England, if he played for another team in England perhaps outside the top six with the exception of Tottenham, he would be a regular in their first eleven, despite his young age. Ademola Lookman who spend the second half of last season on loan at RB Leipzig gained the benefit of first team football, in a foreign country, he looks a difference maker and with Everton fans calling for the exciting winger to start more games, we can expect to see Marco Silva include him within the first team, and not always from the bench. The whole transfer saga surrounding Callum Hudson-Odoi at Chelsea is one of great interest, the interest from Bayern Munich is strong and a move that would certainly benefit the exciting wide forward. Should he make the move to the Bundesliga you would have to think that surely these clubs would make a move to try and encourage the managers to include players within the starting eleven more often, or could the FA step in and try and ensure that these highly promising and exciting players are not looking to leave England constantly to other European clubs in search for regular first team football. There are other examples of young English players leaving high profile academies in search of first team football, some successful and some who are still looking to make a breakthrough. One name who could be next to emerge is former Chelsea prodigy and England under 17 World Cup winner Jonathan Panzo. Having left for Ligue 1 in the summer for AS Monaco, the left back or left sided defender has made his first start for the Monaco first team in a cup game for Thierry Henry's team. He is gaining experience through the clubs very high profile youth set-up and is expected to be a part of the first team squad at the Ligue 1 relegation-threatened side. What can be done to ensure that there is a pathway for these young players to gain regular first team football? The FA have introduced the cap on the amount of foreign players that can be included with the squad that is registered for the league, however this has still not encouraged managers more to include the young players on a regular basis. 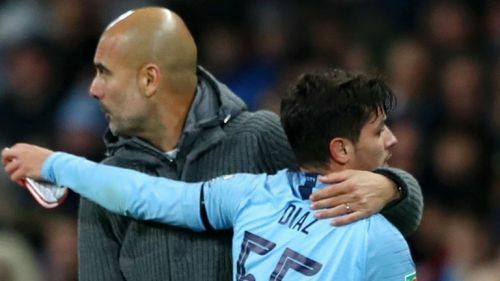 Could the FA move towards the Pep Guardiola philosophy of a higher level of competition for the under 23 team which he has talked about before on Manchester Evening News. This would be a real plus if the FA and the clubs could make this work. Not replicating exactly the La Liga model of the B teams, but how about trying to emerge the B teams where they can qualify to competitive leagues? Could they even make this in an european competition for the clubs, this would almost certainly see a decline in these players getting loaned to other clubs for absolutely no gain to the player or the parent club. Another possibility could be for the Premier League clubs to affiliate with other English clubs in the lower divisions, and not just other European and worldwide clubs. This would be a benefit to both the lower league club and the parent club, financially especially for the feeder team and for the parent club they get the opportunity to monitor and see a player's development at the feeder club. This would certainly have its questions as the players would be playing at a lower level, but when we consider players such as Harry Kane, Dele Alli, Harry Maguire and John Stones to name a few the benefits of playing at these levels can be extremely rewarding. The Football Association need to invest money into the Grassroots football across England, ensuring top facilities, upgrading pitches and have the best available coaches on offer to ensure that we are getting the young footballers into academies and progressing them in life, there is a real need to investigate what is happening at this level of the pyramid in the English game, and the hope is that this is carried out.